Below is Link For Kamarajar Life History Tamil PDF Free Download. Kamaraj successfully navigated the party through turbulent times. As president of the INC, he refused to become the next prime minister himself and was instrumental in bringing to power two Prime Ministers, Lal Bahadur Shastri in 1964 and Nehru’s daughter Indira Gandhi in 1966. For this role, he was widely acclaimed as the “kingmaker” during the 1960s. Kamarajar Believed Education will bring a New face to this Nation. Not Believed but also Build many Schools in villages. He is the first person to introduce free mid-meal in India. Kamarajar studied only 6 years but has built many schools in TamilNadu. At the age of 12, He worked in his uncle’s dress shop. Then he joined in Congress at the age of 16 on hearing the Gandhi Speech. In April 1930, He then joined with Mahatma Gandhi in Vedaranyam salt march and also jailed for 2 years. Furthermore, In February 1940, Kamarajar was appointed as the TamilNadu Congress Leader. 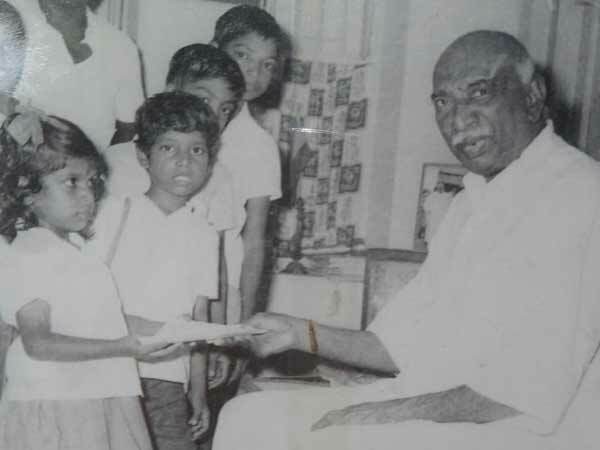 In fact, Kamaraj remained Chief Minister for three consecutive terms. On October 2, 1963, he resigned to serve a greater purpose. Moreover, He came up with a plan which was called the “Kamaraj Plan.”He proposed that all senior Congress leaders should resign from their posts and devote all their energy to the betterment of people. A number of Central and State ministers like Lal Bahadur Shastri, Jagjivan Ram, Morarji Desai and S.K. Patil resigned from their posts. In 1964, Kamaraj was elected the President of the All India Congress. In addition, Kamarajar then made Indra Gandhi as the Prime Minister of India. Kamarajar is one and only reason for the development of TamilNadu. Furthermore, He was honored with the highest civilian honor, the Bharat Ratna, posthumously in 1976.